Knowing what colours are complimentary to your own eye colour can really help in enhancing them - in my case, I have quite blue eyes, so by using contrasting warm tones and orange shades you can really see how this helps my eyes to pop with vibrant colour and stand out that little bit extra. Using just a subtle hint of a colour that compliments your eyes will work in the same way, but I decided to use these shades quite dramatically to demonstrate the effect to it's full potential. 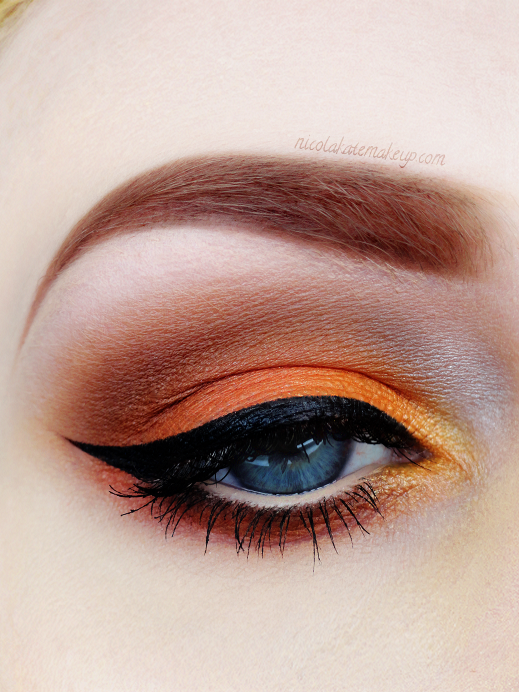 Lovely colors and they're beautifully blended!